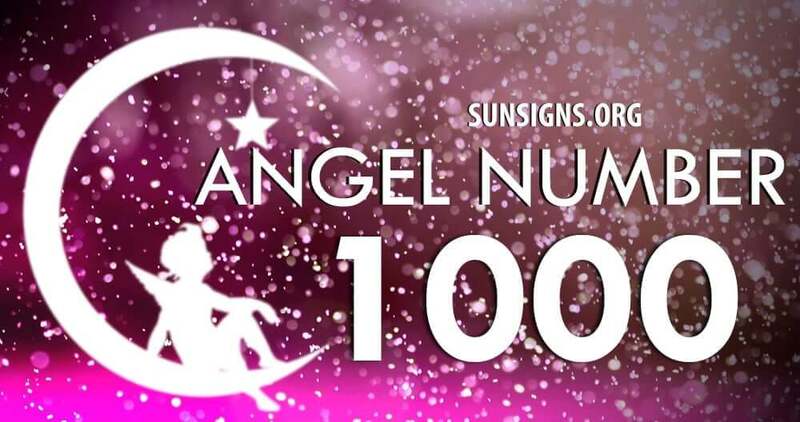 Angel Number 1000, when it repeats itself often, is a communication from the divine spirits for you to commence a fresh sequence of events with passion and confidence. If you employ your innate capabilities and aptitudes, you will be successful and contented in your life by achieving your objectives. Angel Number 1000 is asking you to make use of your fortitude, strength of mind and persistence to make your life happy by realizing all your ambitions in life. In this you have the blessings and support of the angel numbers and the divine forces. Number 1000 consists of the characteristics and vibrations of Number 1 and Number 0, number 00, number 000, number 10 and number 100. The Number 1000 has a single 1 and three 0s. Number 0 has the inherent quality of multiplying the qualities of the number it is associated with which in this case is Number 1. Thus the traits of Number 1 will be magnified three times when the Angel Number 1000 appears itself in your life frequently. Number 1 indicates early stages of new developments, their evolution and growth. It represents vibrations of aspirations and inspirations, capabilities, dynamism in accomplishing the goals and the pleasure associated with the success. Number 1 relates to the strength of mind, natural feelings, determination and drive to complete the new projects started. Number 1 also signifies that you are the creator of your own destiny based on your ideas and actions and the ability to convert the ideas into achievements. Number 0 has the attributes and forces of divinity and cosmic power which are above the physical restrictions. It denotes commencement of new things, the successive phases and the course of the events. It is representative of the totality and the perpetuity of things. Number 0 is an indicator of your spiritual capacity, the selections you make to achieve your spiritual objectives. Overall, angel number 1000 meaning cautions you about the challenges you are likely to face in the course of your spiritual expedition. You are assured of the divine assistance to accomplish your spiritual goals.